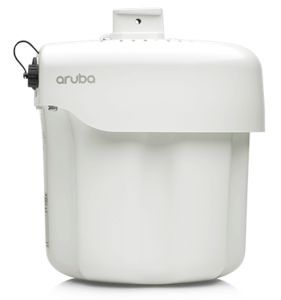 • Includes a built-in BLE Radio that can be used for mobile engagement and asset tracking AP-344 has 4 external dual-band RP-SMA antenna connectors and 4 external 5 GHz RP-SMA antenna connectors for use when Dual-5 GHz operation is desired. AP-345 has 8 integrated downtilt omnidirectional antennas. AP-334/IAP-334 have 4 external dual-band RP-SMA antenna connectors. AP-335/IAP-335 have 8 integrated down tilt omnidirectional antennas with dual-polarization. AP-324/IAP-324 have 4 external dual-band RP-SMA antenna connectors. AP-325/IAP-325 have 8 integrated downtilt omnidirectional antennas. at 2.4 GHz 802.11n 2×2 MIMO radios has 2 Nf connectors for external antenna operation. MIMO has Internal Omni Antennas. 2.4 GHz 802.11n 2×2 MIMO has Internal Directional Antennas. 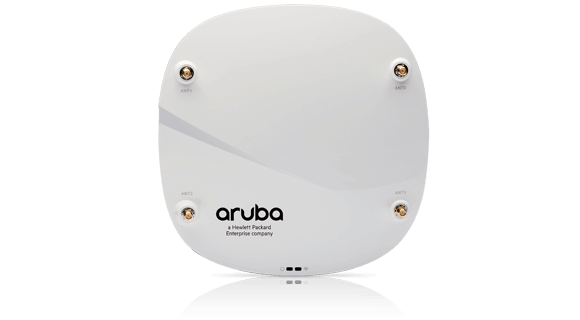 AP-367 has 2.4-GHz and 5-GHz radios, each with 2×2 MIMO and integrated directional antennas. 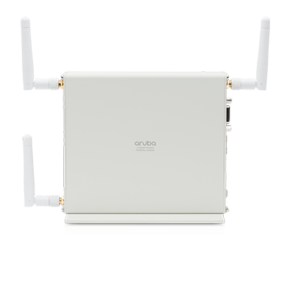 AP-274/IAP-274 has 2.4-GHz and 5-GHz radios, each with 3×3 MIMO and 3 external antenna connectors. 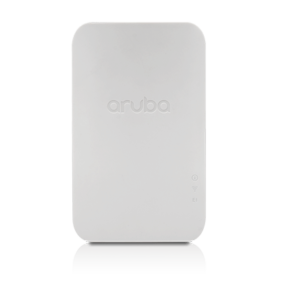 AP-275 and IAP-275 has 2.4-GHz and 5-GHz radios, each with 3×3 MIMO and three integrated omni-directional antennas. AP-277 and IAP-277 has 2.4-GHz and 5-GHz radios, each with 3×3 MIMO and three integrated beamwidth directional antennas. AP-318 has 6 external single-band RP-SMA antenna connectors. AP-303H has 2 integrated dual-band moderately directional antennas. AP-203H has 2 integrated dual-band moderately directional antennas. 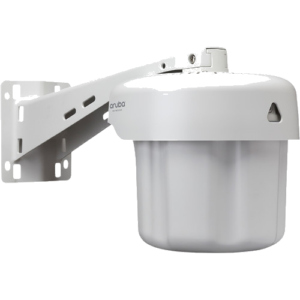 AP-203R has 2 integrated dual-band omnidirectional antennas for 2×2 MIMO. 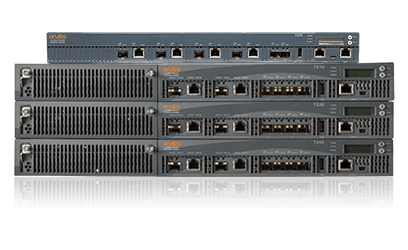 with powerful 2 Tbps backplane low 2.1 us latency and redundant management and power. power, modular uplinks and modular stacking. with no software licensing required. for increased performance and redundancy. 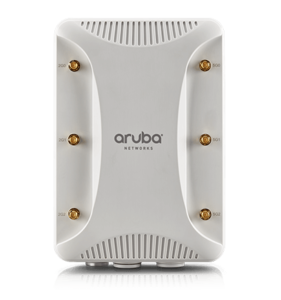 ArubaOS-CX and 19.2 Tbps of switching capacity and carrier grade hardware. 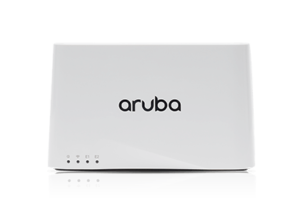 programmable ArubaOS-CX and 2.5 Tbps of switching capacity. 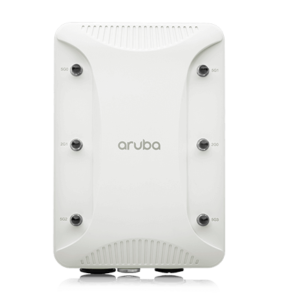 policy enforcement at 40 Gbps – plenty of capacity and speed for BYOD and 802.11ac devices. deploying and managing the network. 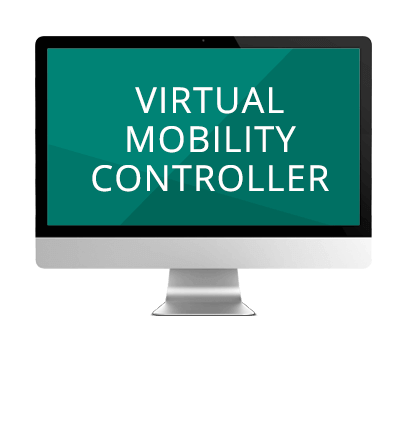 provides a flexible deployment alternative to the hardware mobility controllers (72xx and 7xxx). enterprise and make efficient use of resources. 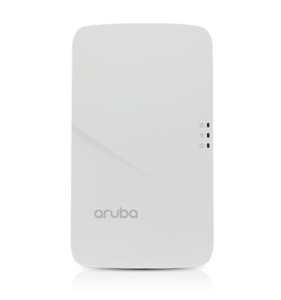 Aruba Mobility Master is the next generation of master controller that runs on ArubaOS 8 and can be either deployed as a virtual appliance (VA) or as hardware appliance. 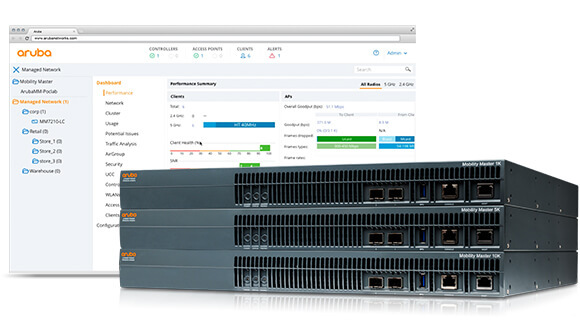 The Mobility Master provides high availability with hitless failover in an unlikely event of a controller outage and live upgrade of the entire operating system with no downtime. 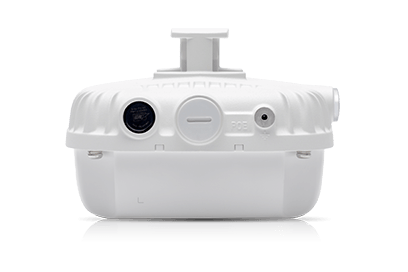 It also provides automatic RF optimization for high-density environment.